Orange chicken and broccoli rice bowls are a gluten-free meal loaded with sweet and savory spicy flavors. This dish is made with paleo-friendly ingredients. The chicken is baked instead of fried for a healthier meal. One of the most popular dishes to order at a Chinese restaurant is orange chicken. Who doesn’t enjoy tender pieces of meat tossed in a sweet and tangy sauce? This version takes on a healthier spin, using gluten-free and paleo ingredients for a wholesome a satisfying meal. The chicken marinates in a mandarin orange sauce loaded with bold and spicy Asian flavors that coat the meat. Instead of deep frying the smaller bites of chicken, whole lean chicken breast is roasted in the oven with the sauce. For those looking for a grain-free side dish option, steamed broccoli rice accompanies the tender chicken for a delicious protein and vegetable-packed meal all in one bowl! This irresistible dish is from the mouth-watering cookbook Nourishing Superfood Bowls . 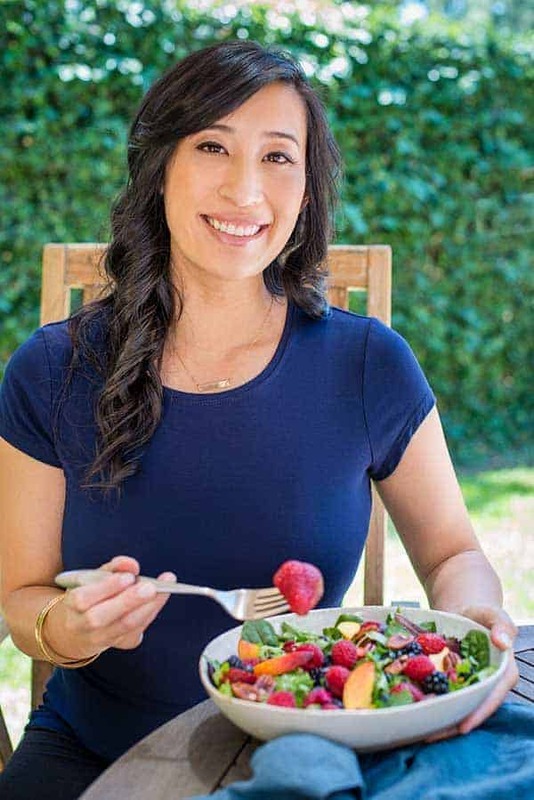 The healthy food innovator and AASDN Certified Nutrition Specialist Lindsay Cotter, and founder of Cotter Crunch shares gluten-free meals with a global flair. Her creativity in her recipes and beautifully plated bowls make eating nutritious meals fun and inspiring. I met Lindsay for the first time a few years ago at a food photography workshop, and I knew immediately how professional, passionate and talented she is, plus she loves science too! Each recipe of hers is designed to sustain and fuel your day. The inventive combination of flavors using nutrient-dense ingredients is impressive and delightful. I had a hard time choosing what I wanted to make first, and since my family loves orange chicken, I could predict that this was going to be a crowd pleaser. Orange chicken is all about the sauce! For this recipe, the chicken gets a chance to marinate and infuse the flavors on the surface and then gets cooked right in the sauce. The delicious liquid is a combination of fresh mandarin oranges, spicy chili paste, tamari, lime juice, garlic, red onion, rice wine vinegar and orange marmalade. I used only a tablespoon of chili paste because I’m a spicy food wimp, but double up if you want a strong kick! All of the sauce ingredients get blended in a food processor until smooth. Olive oil is added to help thicken the sauce. I set aside about 1/4 cup of the sauce before adding to the chicken so we could drizzle more on later. The chicken sits in the fragrant marinade for at least 20 minutes, while the broccoli rice is prepared. Check out that gorgeous coating on the chicken! After roasting and a quick broil at the end of cooking, the chicken breasts are juicy, tender and ready to be devoured. Make sure that you order your very own copy of Lindsay’s stunning cookbook . Each page inspires you to eat healthy without sacrificing on flavor! It will help you break any food ruts you may have and provides 75 gluten-free and paleo breakfast, lunch, dinner and dessert ideas. 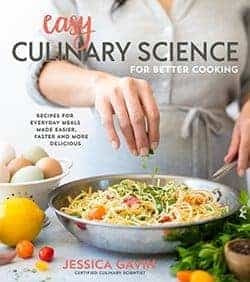 If you love food and eating healthy, this cookbook is a game changer! Marinating lean pieces of chicken breast has numerous advantages. The glutamates in the tamari sauce help to enhance the meaty flavor. The salt changes the structure of the meat proteins and helps the meat to be juicier. The acid from lime juice and the vinegar tenderizes the chicken more quickly. However, you do not want to let it sit too long, or the texture could negatively be impacted. Orange chicken and broccoli rice bowls are a gluten-free meal loaded with sweet and savory spicy flavors. This popular dish is made with paleo-friendly ingredients. To make the marinade, blend the orange slices, chili sauce, lime juice, orange marmalade, salt, pepper, garlic, red onion, and rice wine vinegar in a blender or food processor until thoroughly mixed. Add the olive oil and tamari and blend again until creamy. Add the chicken pieces in a single layer in a casserole dish and pour the marinade over the chicken. Place the dish in the refrigerator and marinate at least 20 minutes. Preheat the oven to 425ºF (218ºC). Bake the chicken for 20 to 25 minutes. Set oven to broil for the last minute of cooking. To make the broccoli rice, steam the blended broccoli in a microwave-safe bowl with sesame oil for 45 seconds. Add the sesame seeds to the rice, and salt and pepper to taste. Equally divide the broccoli rice amount the bowl, then add the chicken. Garnish with the orange slices, red chili pepper flakes, and cilantro. Drizzle on extra tamari or use for dipping. Suggested toppings: Lime slices, crushed red chili pepper flakes, cilantro, tamari. Thank you friend! Truly! I cannot wait to get your copy of your cookbook. I know it’s going to knock it out of the park! You were (are) a major inspiration in my life. It’s my pleasure Lindsay! The family loved it and I will be adding the recipe to the weekly rotation. The sauce is so dreamy 🙂 Girl, you inspire me everyday! Thank you for making the recipe Kimberly! could I make this with seasoned rice vinegar and coconut aminos instead of tamari? That’s what I have on hand and my daughter can’t have soy.